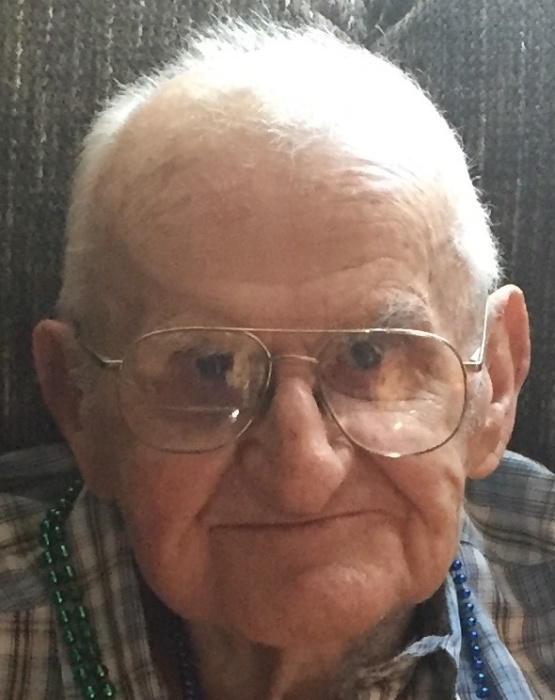 Edward F. Rogalski, 85, of Buckley Rd, passed away July 25, 2018, at his home in Liverpool. Ed was born in Auburn, NY on October 10, 1932, to the late Frank Rogalski and Anna Kowalski . He was a graduate of East High School in Auburn, and Alliance College in Cambridge Springs, Pennsylvania. After a stint in the army, Ed graduated from Alliance, and began his career as a tool and die maker, having worked at Cayuga Tool and Die, General Electric, and New Process Gear, from where he retired in 1994. Ed married his beloved wife, Dolores Kukiela, on November 30, 1957, and together they raised three children in their home town of Auburn. Ed enjoyed taking his children fishing, especially to his favorite spot, Parker’s Pond, in Cato, where great memories were made. As a lover of the outdoors, Ed also enjoyed camping, and brought his family to his favorite state parks throughout the summer months. He loved Fillmore Glen, Fair Haven, and Watkins Glen, but his favorite was Letchworth State Park. Eventually he decided to extend the camping season into the winter months, and introduced his family to Florida, where they explored different coastal cities, and of course, Disney World, each winter break for many years. Ed also enjoyed bowling, golfing and horse racing, but his favorite hobby was woodworking, and in retirement, he spent endless hours creating his projects, until his basement workshop was virtually full of his handiwork. Although Ed seemed like a serious soul, those who got to know him would find that he had a great sense of humor, usually delivering his funny lines with a straight face. Ed is survived by his wife of 60 years, Dolores Kukiela Rogalski; his children, Valerie A Tesorio and her husband Anthony; Edward Rogalski Jr and his wife Theresa; Thomas Rogalski and his fiancee’ Mardie Morta; Grandchildren, Christopher and Michael Tesorio; Josh, Freddy, Nicole and Kristy Rogalski; Joseph Hand, and Tom and Nick Rogalski; nephews, nieces, and cousins. Ed is predeceased by his parents, Frank and Anna Rogalski; his sisters, Josephine Drewno and Anna Kuzniar; and grandson, Anthony Tesorio, Jr.
A Mass of Christian burial will be celebrated at 12:00 pm on Friday in St Hyacinth Church, Pulaski St, Auburn. Burial will be in St. Joseph’s Cemetery, Fleming. Friends and family are invited to call on the family from 10:30 to 12:00 Friday in St Hyacinth Church. In lieu of flowers, contributions in memory of Ed Rogalski may be made to St Jude’s Children’s Hospital. Funeral arrangements are with Heieck-Pelc Funeral Home LLC, Auburn. A special thank you to Mardie Morta, whose love and patience as Ed’s caregiver for the past two years, has been an incredible blessing to Ed’s entire family.